a 5 metre roundhouse of the type still lived in by Mongolian nomads. 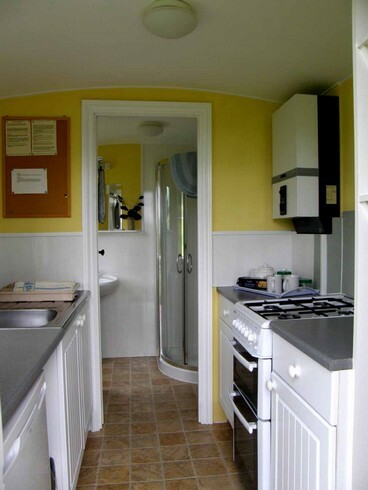 We have two individually sited yurts, each beautifully decorated, comfortably furnished and equipped for 2 people and each with it`s own individual kitchen and bathroom facilities. Waterfall yurt is in a woody glade alongside a little gorge with a tumbling brook. Although quite close to Tregib buildings it is very private, and has the advantage of having level access and parking almost alongside the yurt. With a wooden frame, thick felt for insulation, heavy duty canvas for waterproofing and a decorative outer cover, the yurts have a solid wooden floor creating a cosy and unique holiday home for 2 people. 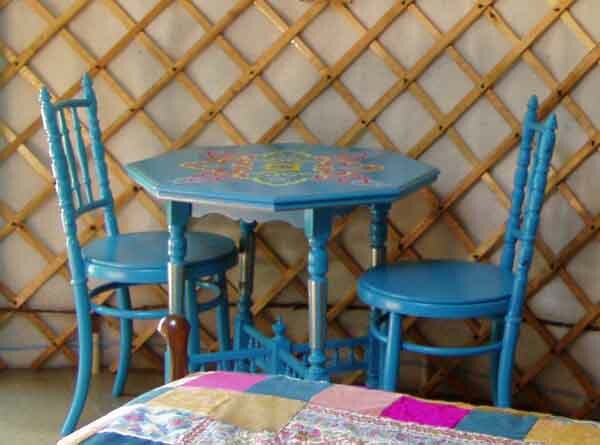 Both yurts are furnished in keeping with the beautifully decorated interior, and provide a comfortable, cosy retreat with a wonderful atmosphere. Even on chilly evenings the woodburning stove keeps you warm as toast. The huge, luxurious double bed can be divided to provide two singles if required, and for those romantic evenings there is a comfy sofa and a dining table and 2 chairs. For outdoor eating each yurt has a picnic area with a small barbecue brazier. 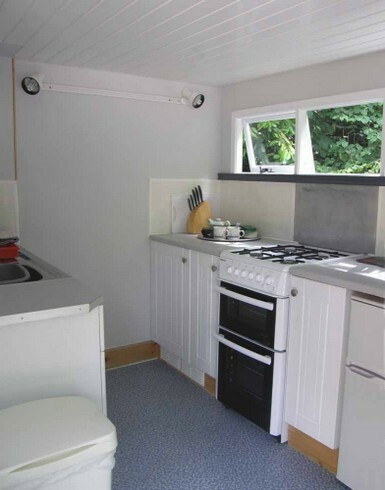 Fully equipped KITCHEN with full sized gas cooker, microwave, fridge and all crockery & utensils. An excellent shower with as much hot water as you want, and a washbasin. Gert`s Yurt has proper flushing loo. Waterfall Yurt has a "separett" waterless toilet. 2 barrows of logs per week are supplied for the woodburner - more can be bought from owners. Sorry we do not accommodate pets. We can supply a CONTINENTAL BREAKFAST BASKET for your first morning @ £8 per couple. Please ask when you book. Yurt layouts and environs are not suitable for small children so we offer accommodation for two adults only, or one adult and one child over 10.